GlobalFoundries on Monday announced a milestone concerning its 22FDX-branded fully-depleted SOI low-power planar transistor platform. The company initiated volume production using the technology with yields and performance meeting expectations of its clients. So far, the company has gained over 50 client designs and has booked contracts worth $2 billion. 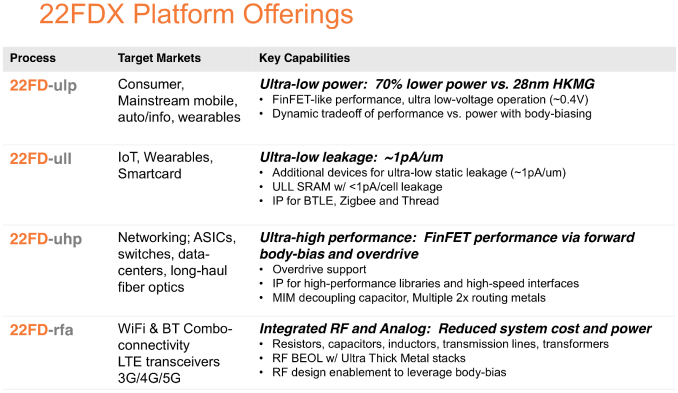 GlobalFoundries’ positions its 22FDX manufacturing technology as a cheaper alternative to 14 nm/16 nm FinFET fabrication processes. 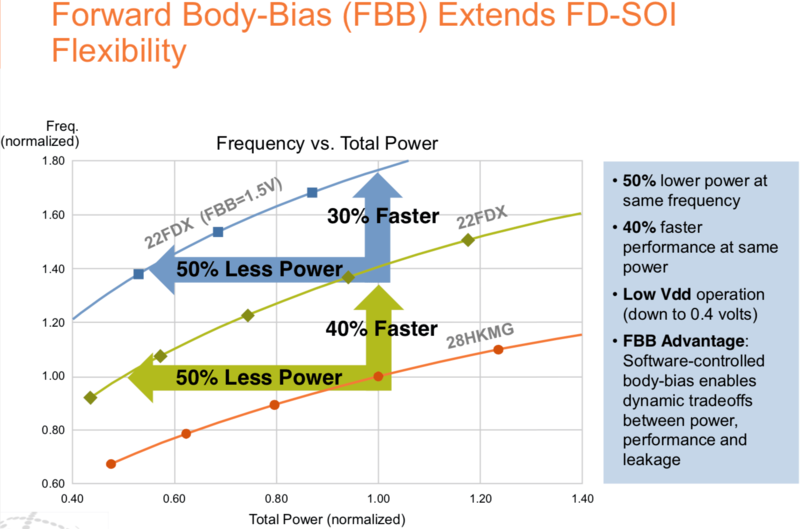 Since the 22FDX relies on planar transistors as well as fully-depleted SOI wafers, it is easier and cheaper to use than FinFET-based technologies. 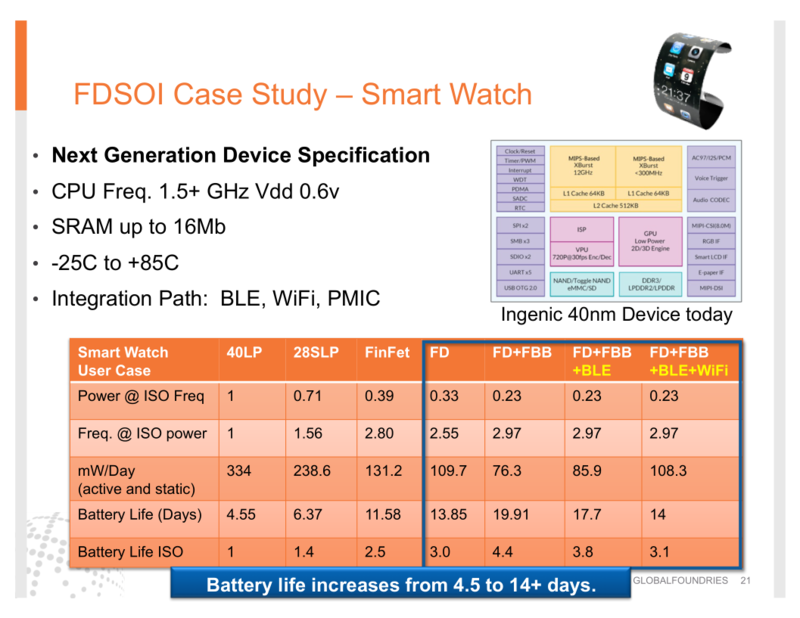 Another key feature of FD-SOI is very low static and dynamic power consumption, low voltages (down to 0.4 Volts) and software-controlled transistor body-biasing (up to 1.5V, which helps increase performance), all of which makes the process very appealing for mobile, wearables, IoT, RF and other applications. Since such chips are developed by startups without a lot of money, relatively low development costs are crucial for such companies. 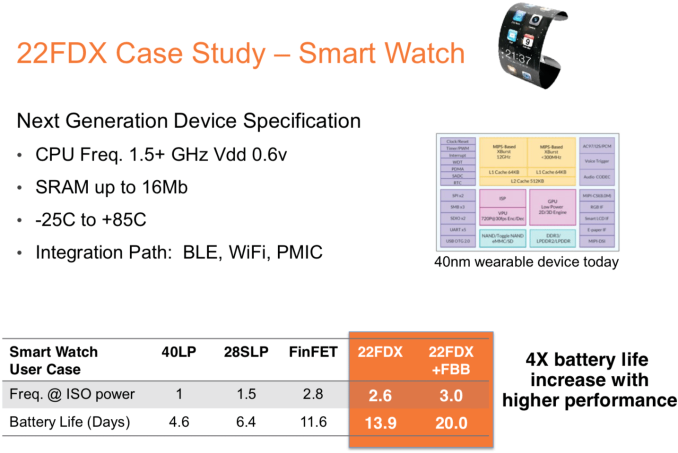 GlobalFoundries formally introduced its 22FDX platform — which includes four different manufacturing technologies for various applications — in mid-2015 and started early production this year. One of the first customers to use the GlobalFoundries’ 22FDX platform is Synaptics, but previously GlobalFoundries mentioned Cisco, Freescale and Sony as adopters of the technology. According to GlobalFoundries, the 22FDX has booked customers’ orders worth $2 billion, which is a lot. To put this number into perspective, GlobalFoundries earned $6.176 billion in revenue last year. Meanwhile GlobalFoundries does not share any additional details about the 22FDX wafer revenue so we do not know the amount of time it will take GlobalFoundries to actually get these money. Wasn't 22FDX something that came from GF buying the fabs from IBM? POWER (9) is manufactured on a 14HP process, which is exclusively used by IBM. This is a 14nm FinFET SOI process. The 22FDX on paper is way too good and blows everything away, unless you absolutely need leading node. Apparently, it is not ideal for large and high performance chips (quoting from there): "When I say that, I should qualify: you are not going to get that from a big chip. If you are making a big chip, you got tons of wire capacitance, so you are not going to beat a FinFET design. FinFET has huge drive current, so if you're dealing with smaller chips, wiring capacitance isn't as a big, but gate capacitance of the transistor is more important. 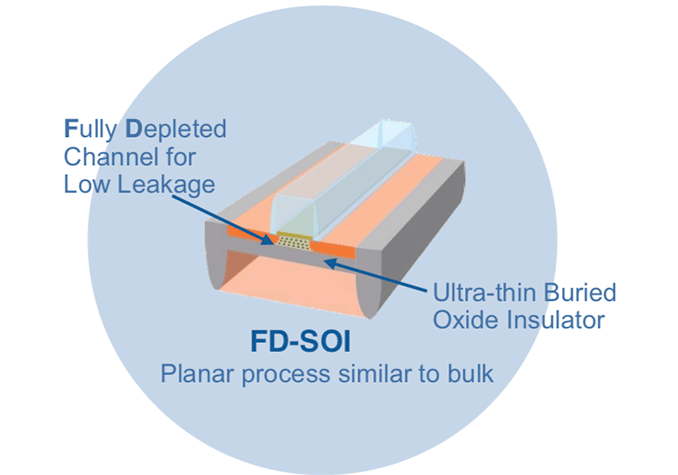 FD-SOI has less gate capacitance than FinFET because you don't have the gate wrapping around the whole device. So it is ideally suited for smaller chips, I say less than 150 square millimeters."